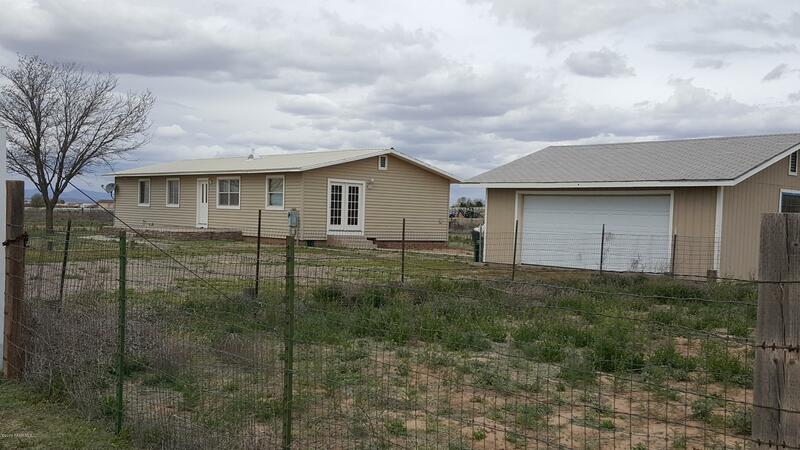 All None homes currently listed for sale in Paulden as of 04/23/2019 are shown below. You can change the search criteria at any time by pressing the 'Change Search' button below. "Own a slice of Heaven! 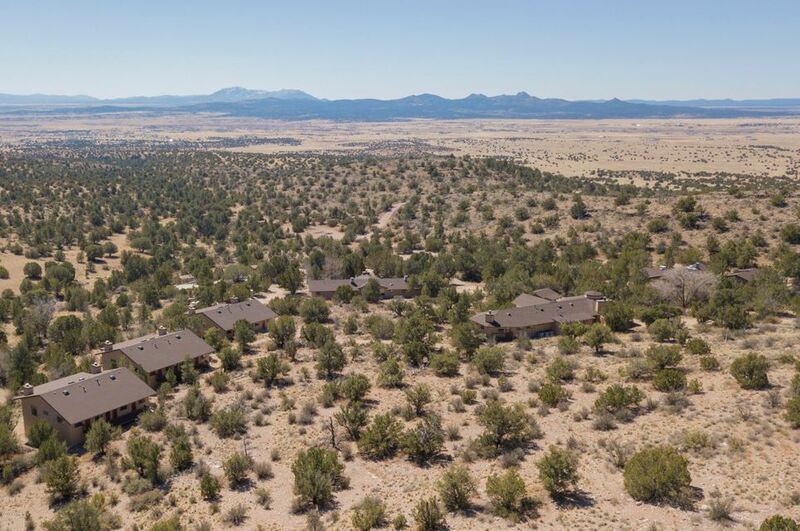 7 Buildings fully furnished on 160 acres surrounded by National Forest on 3 sides with AMAZING VIEWS all around and TOTAL privacy. Previously was an isolated elite resort that served as a getaway for celebrities. 13,384 sq ft of livable space with 23 bedrooms 21 private baths, 4 public baths, 9 kitchens and 1 commercial kitchen with spacious dining hall, 10 fireplaces, 2 private laundry areas and 1 commercial laundry area + an additional 1 car garage, well house and 2 stor"
"Great horse property with 2 stall barn (potential for 3 stalls) and tack room. Incredible views and great producing well. 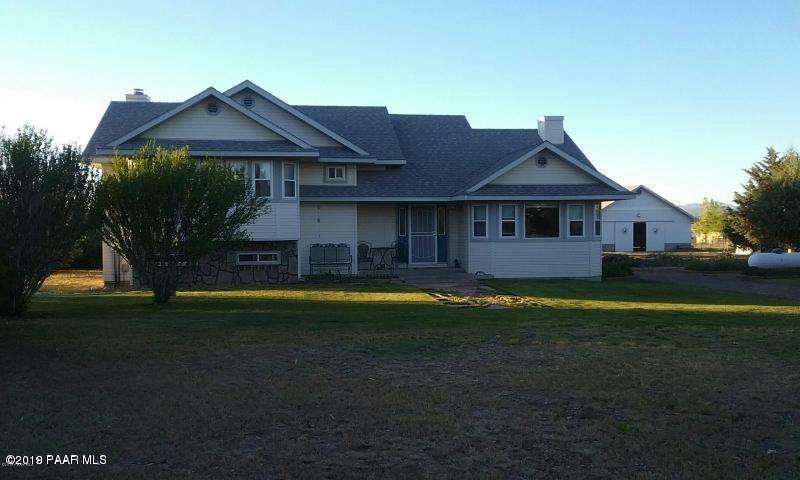 Home sits on 6.53 level acres and is beautiful inside and out. Main level is formal dining room, kitchen and bath, upper level has 3 bedrooms and bath, Lower level is a large living room/Family room area. Home has many windows for lots of natural light. Oakwood floors, raised ceilings and a beautiful kitchen. New stove. Pellet Stove and Fujitus rooms systems installed to add"
"10 acre horse property. New hardwood floors; new exterior paint. Oversized 2 car garage; large arena; 100 sq ft barn; 1 stall stud barn, two storage sheds, multiple pastures with 4 rail wood fencing; private well producing 35 gpm. Construction of a new home on parcel A has been started with footers in place. House plans included." "Walk on to your own little farm! 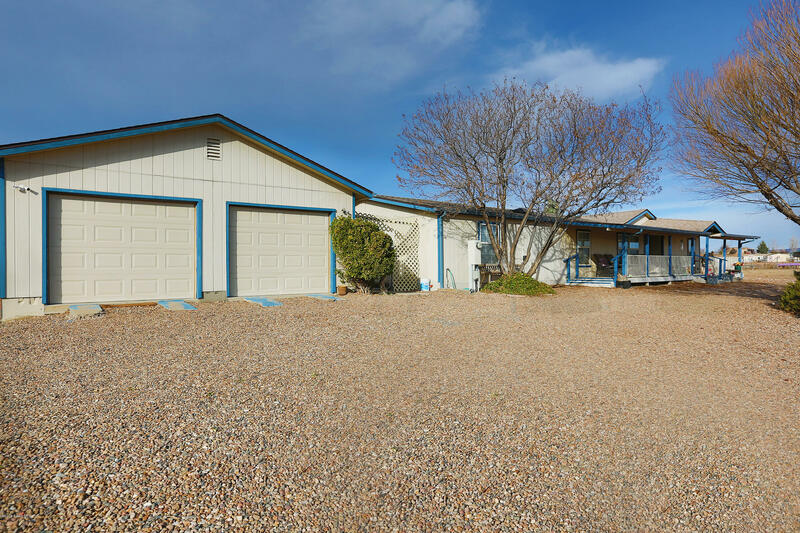 This property offers two homes for those wanting a place to accommodate two families, live in one and rent the other or extra space for when family and friends come to visit. The main house, originally built in 1946, is est. 1216 sqft with 2 bedrooms and 1 bath. The guest house, originally built in 1925 is est. 972.5 sqft with 1 bed & 1 bath. The homes rest on nearly 13 level acres, perfect for the horses, farm animals or whatever else you might imagine. 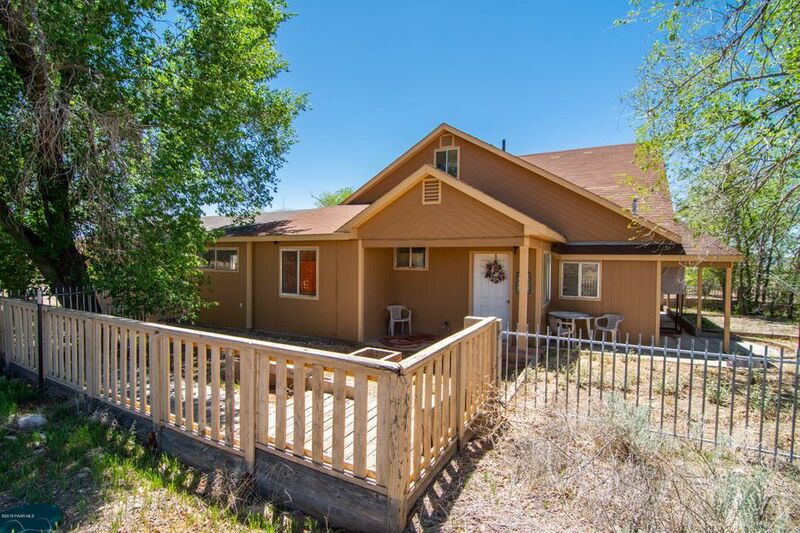 Huge 237"
"Amazing Mountain Views surrounding this spacious LEVEL ENTRY home, nestled on 2.5 acres of Usable Land! Huge kitchen with Island, Wood burning Fireplace, 2 Master suites with private baths, Jack & Jill bath between 2 more bedrooms. Attached 2 car carport, storage room with electric. 2 Dog runs, 2 sheds and 2 large patios. Make this your private weekend retreat or your full time oasis! Easy dirt roads with many ins and outs! Sect 10 Hunting nearby. Fully perimeter fenced, easy care acreage!" "PRICE REDUCTION! Looking for country charm? 5 acres of horse property fenced and cross fenced. Welcome home to this 2 story site built home. 3 bedrooms, 2 1/2 bath, bright kitchen, with formal dining room, master suite plus extra half bath on main floor. Second story has 2 bedrooms and full bath. Plenty of storage throughout the home. Heated workshop/carport is behind the home, creating a great space for your passions. Perhaps an art studio or man cave! 1/4 mile of dirt road from the county"
"Site Built, Cuter than Ever! On 5 Acres, Farm Animals & Horses Allowed! Fenced and Cross Fenced! Acreage includes Animal Pens, Chicken Coops, Orchard, & 2 Pastures! Updated Laminate flooring, newer solid surface counters, wood cabinetry. Extra Large Laundry Room, with Tons of Storage! New Carpet and Interior Paint! SS Appliances, Exposed Wood Beams. Bonus/Media Room with French Doors. Walk-in closets. Newly painted Garage. Steel Gated Entrance, Huge Dog Run! 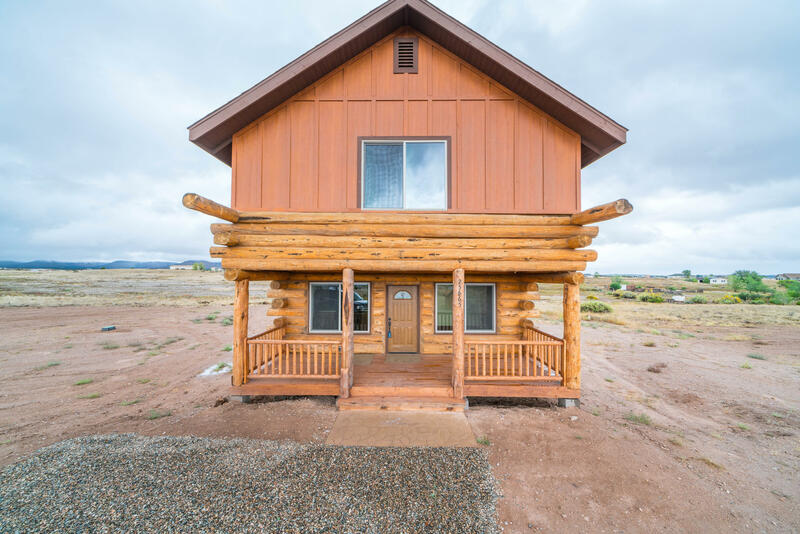 Accent Rock Wall, New Acces"
"Rare find Brand new Log Home on over 2 acres close to Highway 89. Well appointed kitchen with S/S appliances solid surfaces countertops 3 bedrooms with walk in closets and solid barn doors.Outside you have a extended covered deck. There is room for all your toys or animals without a HOA.Seller May Carry !!!!!!!!" "ENJOY PEACEFUL RURAL VIEWS FROM THIS LEVEL 3+/2 CLAYTON BUILT, SPLIT FLOOR PLAN ON 3 FULLY FENCED ACRES W/OPEN COVERED FRONT & BACK PORCH'S.SPACIOUS LIVING ROOM w/COZY WOOD BURNING FIREPLACE. SAN FRANCISCO PEAK VIEWS FROM MASTER SUITE w/LG HIS & HER WALK-IN CLOSETS, GARDEN TUB & WALK-IN. SHOWER. NICE SIZED CLOSETS IN BEDROOMS. BEAUTIFUL VIEWS FROM HUGE KITCHEN w/LG ISLAND, PANTRY & PLENTY OF CABINETS. SEP. DINING AREA w/WALK OUT TO COVERED BACK PORCH GREAT FOR ENTERTAINING & BBQ'S. LG LAUNDRY RO"
"This gorgeous move in ready country home sits on over an acre of land and is limited only by your imagination. 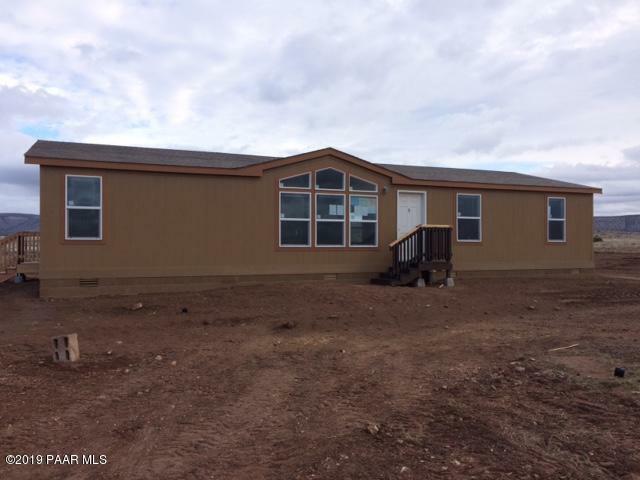 Bring the whole family and all the animals as you enjoy this 2452 square foot open concept split floor plan. Featuring a large master suite with walk in closet, three more bedrooms, two with a Jack and Jill bathroom, and a large bonus room used as a den/office. Entertain your guests with a traditional living room featuring a cozy fireplace, a formal dining area, and a spacious family r"
"Wonderful opportunity to own a brand new upgraded home on stemwall! 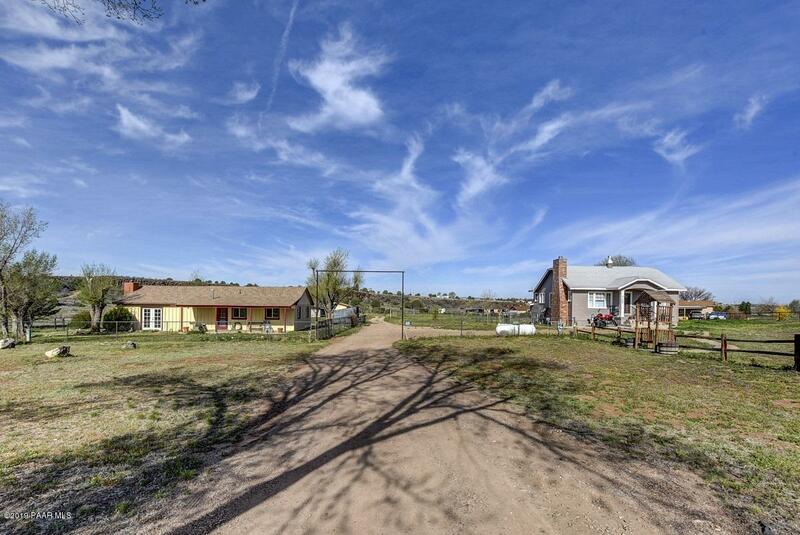 2 horse-friendly acres with outstanding views bordered by Prescott National Forest to the north and state land to the west! Great 3/2 split floor plan w/kitchen island, family room and living room. Upgraded features include dormer windows, reverse osmosis, 2x6 walls, R-50 roof and R-22 floor insulation. All kitchen appliances included. Great producing well! Just 1/4 mile off pavement. See floor plan under Documents. 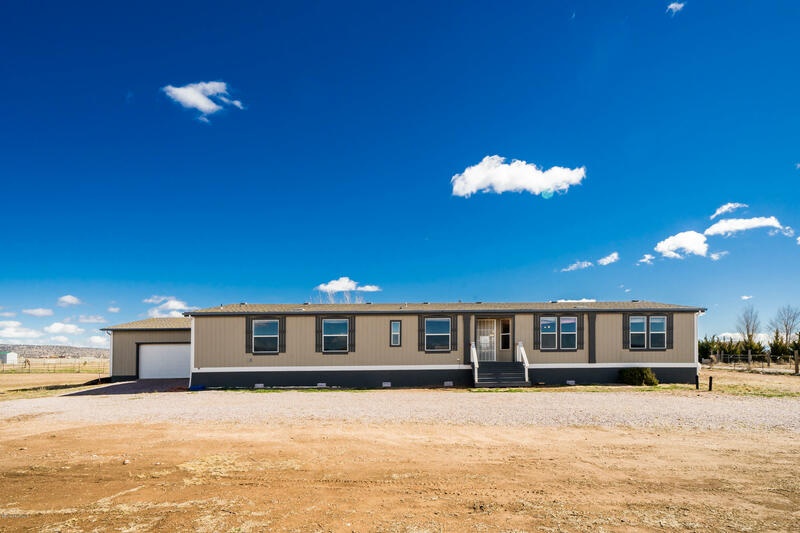 Manufacturer"
"Brand NEW Redman Manufactured Home on a stem wall is ready for you, your family, animals and toys! Located on 2.99 fenced, flat acres...waiting and available for your visions of landscaping, outbuildings and country living! Electricity and Water has been run 75' away from the home for the convenience of your animals! The TV in the Living Room conveys and the new Stainless Steel Refrigerator will be waiting for you, as well! This is a MUST SEE! 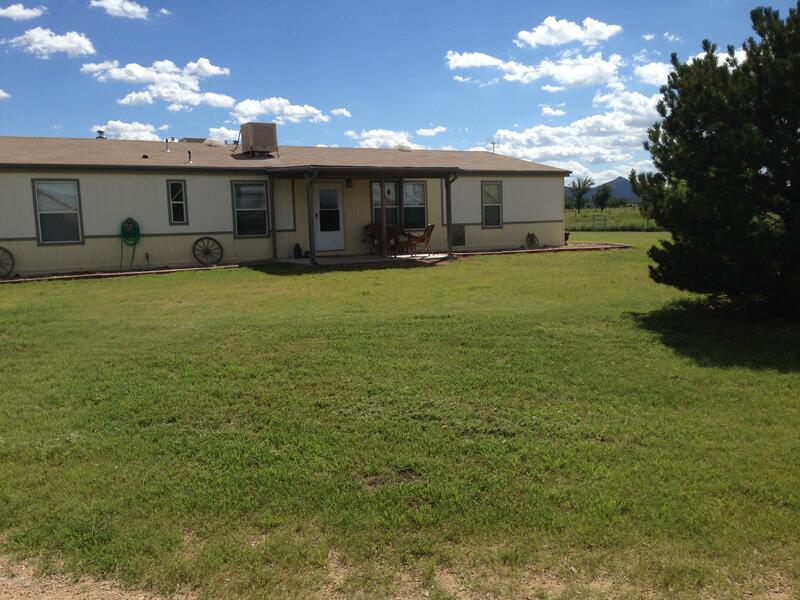 Stainless Steel appliances, Solar Tubes for brig"
"Great Horse Property with 2 Acres of Flat Land. Panoramic Mountain Views. 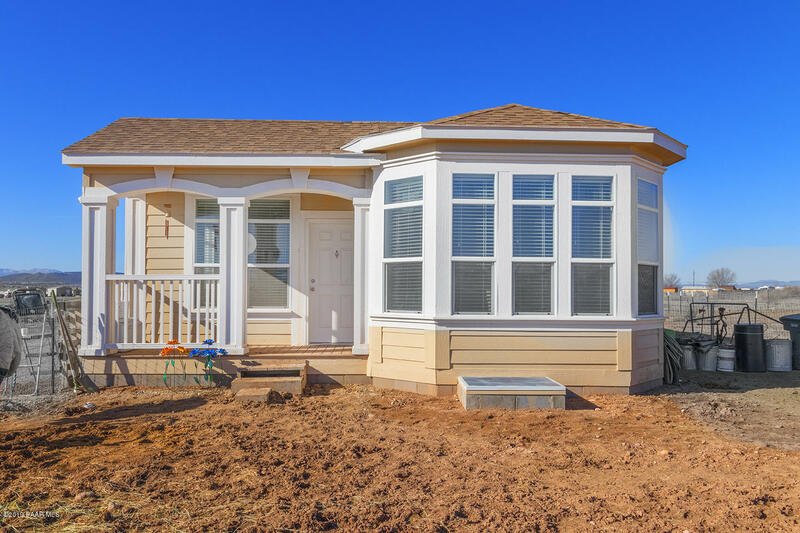 Home Features Split Floor Plan, Garden Tub in Master. New A/C in 2018, Built-in Office Nook. All rooms have Walk-in Closets. Large Bright and Open Kitchen Dining/Family Room, Living Room, Covered Back Deck. State Land across the Street. Don't Miss this One!" 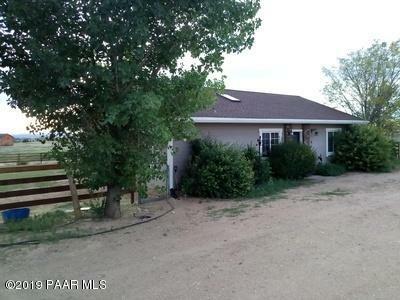 "With four gorgeous acres to call your own. This property can accommodate you, your pets, and your aspirations to build! 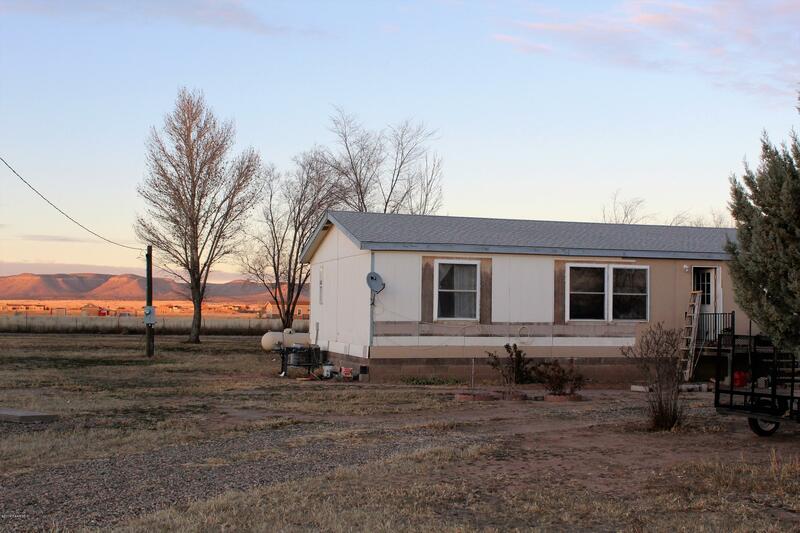 Featuring stunning unobstructed views, a producing well, and a cozy home. 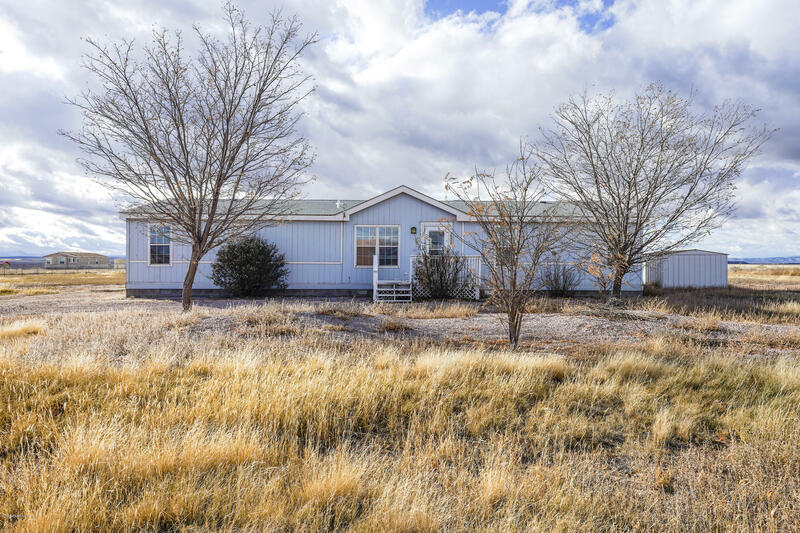 If you are looking for peaceful, country style living, with a short drive to grocery, hardware, livestock supplies, and many more amenities. Then this property is a must see! These four acres are priced to sell!"